Prices: Full price: 30 EUR/person, Students: 28 EUR/person. the Jewish Centre & Archives (you’ll be given your entry ticket at the end of the tour with which you can entre the Centre once during the next 24 hours and view the audio-visual exhibit about the history of the Jewish Quarter). Please present it in print form or on your mobile/tablet to our staff at the meeting place, at the Great Synagogue in Dohány utca 2., district VII. 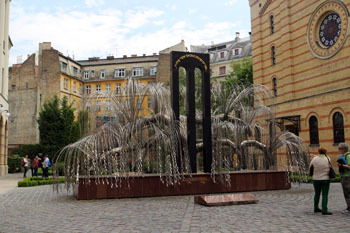 In front of the Great Synagogue in Dohany Street, Address: Dohány utca 2. Budapest 1074, Please be there 15 minutes before the tour start. Note: There are no tours on Saturdays and Jewish holidays. See availability in the calendar on top of the page! 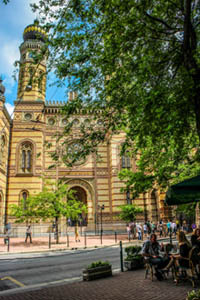 TIP: See also the Grand Jewish Budapest Tour – a 3,5 – 4h exploration of 3 synagogues, a museum, many historic sights with facts and history bout the Old Ghetto area. 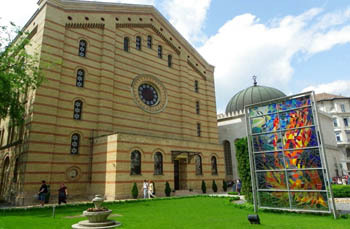 Visit also our main page about history and Jewish sights in Budapest! 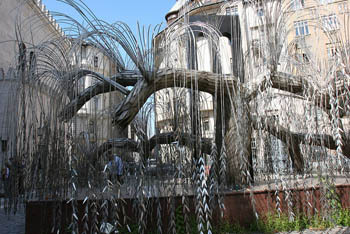 A guide to Kazinczy Street, a hip area in district VII might also be of iterest to you. We went on the Sunday morning Small Group Jewish Heritage Tour with Barbara as our guide. This tour turned out to be the highlight of our Budapest visit. Barbara’s knowledge of the history and sight was impressive. The visit to the small museum was excellent with our guide enhancing the experience with personal stories. As Americans the history of the Holocaust mostly focuses on Germany, so for us this was a learning moment. 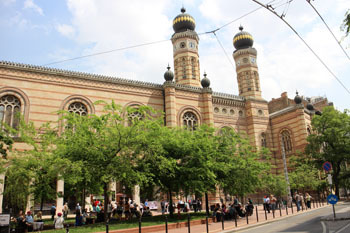 It was the history of Budapest and the Jewish Community that we knew little about. We have found in our travels that using local companies most often gives you the best experiences. Budapest by Locals and Barbara did not disappoint. Thank you for keeping the history alive in such a respectful and reflective way.